Villa Klaten is the lates addition to Kampung Kecil's collection of antique styled villas. 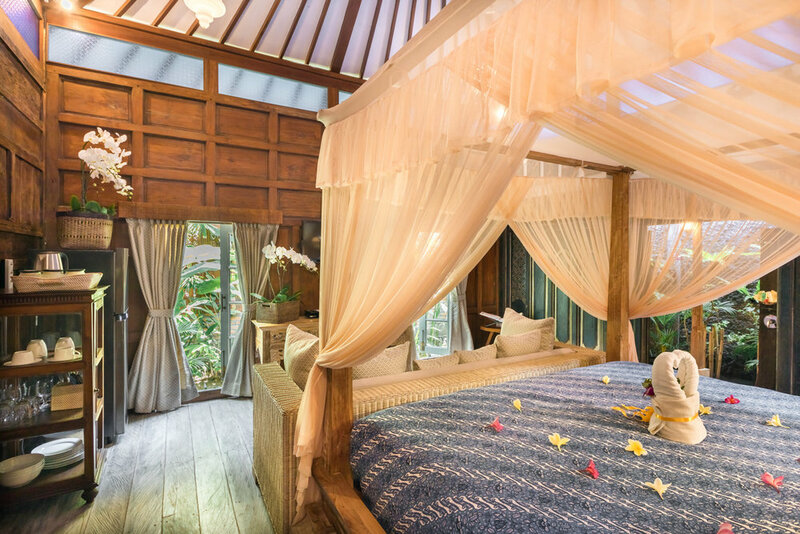 Step into this cozy one bedroom villa, and you'll want to sink into its comfy lounge chairs, or snooze between the soft sheets of our four post bed. Bathe in your outdoor bath tub, relax before your cable TV, or just relax on your deck and look out at our natural pool. This villa is perfect for two romantically inclined adults.